« Unexplained dyspnea post primary PCI : Never blame Ticagrelor ! 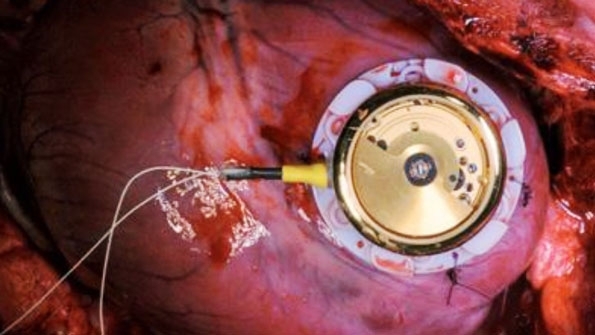 Stunning Innovations in cardiology : Learning from “Swiss watch” . . . and pacemakers will soon go battery less! Artificial pacemaker is one of the major discoveries in cardiology that has given new lease of life to patients suffering from serious bradycardia and heart blocks . Now, the technology has grown beyond pacing , for delivering shock ,defibrillate , resynchronise failing heart etc. For accomplishing all these tasks we need electrical power . . . non stop on board ! Though , the energy required for sustaining an electric pacemaker is miniscule (About 40 micro watts) still, the lithium ion battery can last only around 10 years with the available technology.Various alternate sources for power* are being explored. One great innovation is on the horizon .A new “scientific spark” came from a totally unexpected quarter. 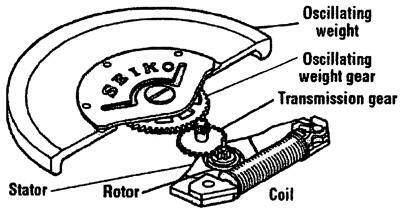 If Automatic Swiss watch can run without a battery life long ? Why not a cardiac pacemaker ? How about harvesting mechanical energy from the heart itself ? (The ultimate biological bundle of energy ! ) . The concept was originally suggested by University of Berne Switzerland , researchers from Stanford has successfully used the cardiac muscle activity as a dynamo to generate and store minute amount of electricity that can sustain heartbeats in an electro mechanical coil loop model. The idea may look dramatic , but it works.Hope it becomes reality in our patients in near future. * Creating gene modified biological pacemaker cell is . At first glance, this idea seems somewhat impossible, like using the movement of an engine’s pistons to power a car. However, researchers David Tran and his colleagues from Stanford University explain in a recent patent that the idea is very plausible. For one thing, a heart-powered pacemaker can generate and store more electricity than required to operate, and use the stored energy when needed. Also, a battery could be included in the pacemaker, and power from the heart would extend the life of the battery. The invention also has the potential to reduce the size of the pacemaker by one-half or more. For example, a typical commercial pacemaker with a volume of 16 milliliters may be reduced in overall size to as small as 1-8 milliliters. An embedded generator could continuously produce power in several ways, such as through electromagnetic induction or the piezoelectric effect (electric energy generated via mechanical stress). In the Stanford team’s design, the generator is implanted near the heart wall, such as attached to the myocardium or pericardium, which would subject the generator to regular pulsating movements produced by the beating heart. The generator itself consists of a magnet, a conductor (both micro- or even nano-sized), and electrical leads hooked up to the medical device. Contraction of the heart muscle causes relative motion between the magnet and the conductor (such as a coil of wire). This relative motion between the magnetic and coil induces an electric current in the wire, which is transmitted through the leads to the implanted pacemaker. Movements produced by the beating heart would have a frequency of between about 0.5 Hz and 2 Hz, which could generate between 40 microwatts and 200 microwatts of power. The pacemaker would only require about 40 microwatts, so the excess power could be stored and used for later use, such as when the heart stops beating. Besides using the movement generated by the muscular contractions of the heart, other versions of the pacemaker could generate power from heat differentials, physiological pressures, and flows and movements, such as blood flow. And in addition to pacemakers, the researchers suggest that similar systems could be used to power defibrillators, ventricular assist devices, muscle , neurological stimulators, cochlear implants, monitoring devices, and drug pumps.